We can not wait to get outside & do as many activities as possible! 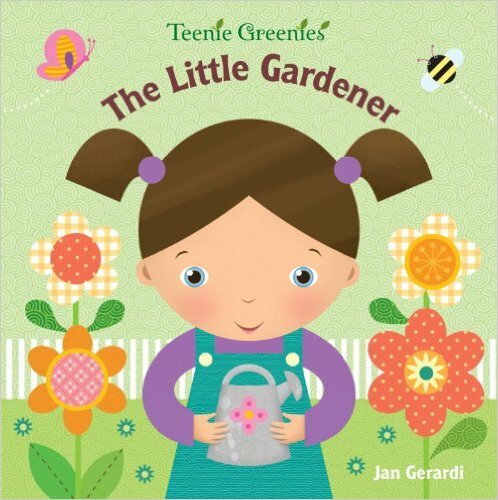 If that is also your goal then this list of gardening activities for kids will surely prove to be a great resource for you! There are so many fun ideas here deciding where to start might be the only challenge! 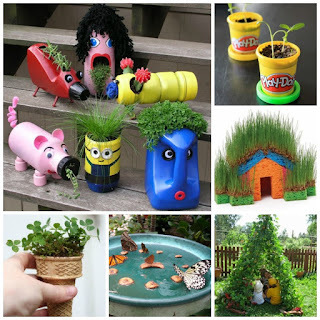 Up-cycle a few plastic bottles & turn them into these adorable planters. 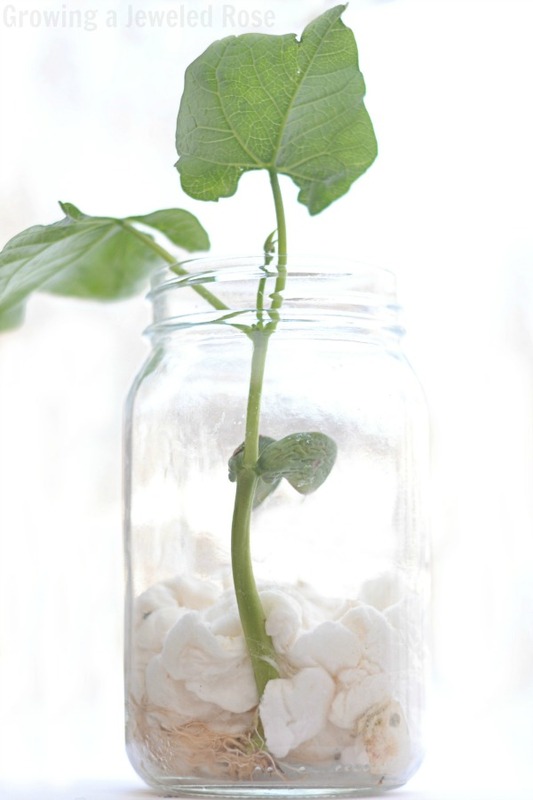 Use eggshells to make a mini garden. Take it a step further and make eggheads. Turn an old toy truck into a mobile garden. 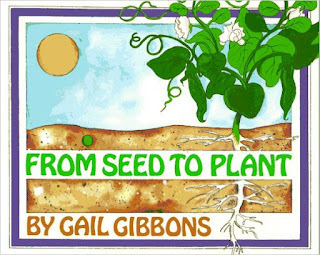 Explore science & grow a magic beanstalk. Grow a garden using an egg carton. 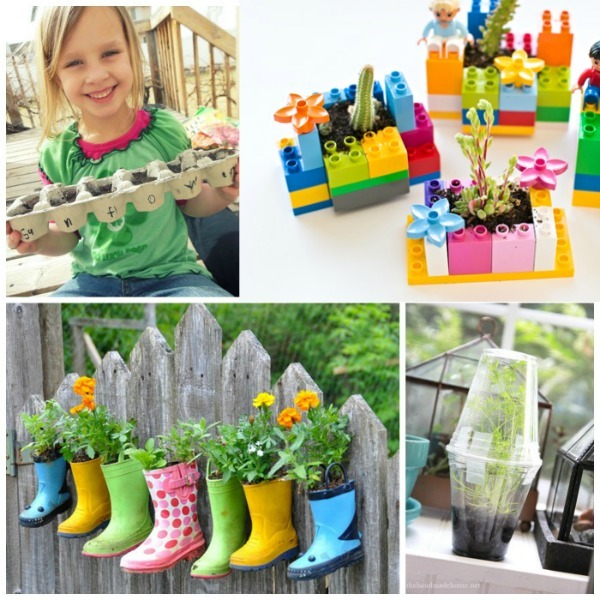 Turn your child's old rain boots into a garden. My kids would love this! Make newspaper pots with the kids & then plant them. Make garden art from recycled cans. Convert an old sandbox into a kids garden. Turn old play dough containers into planters. 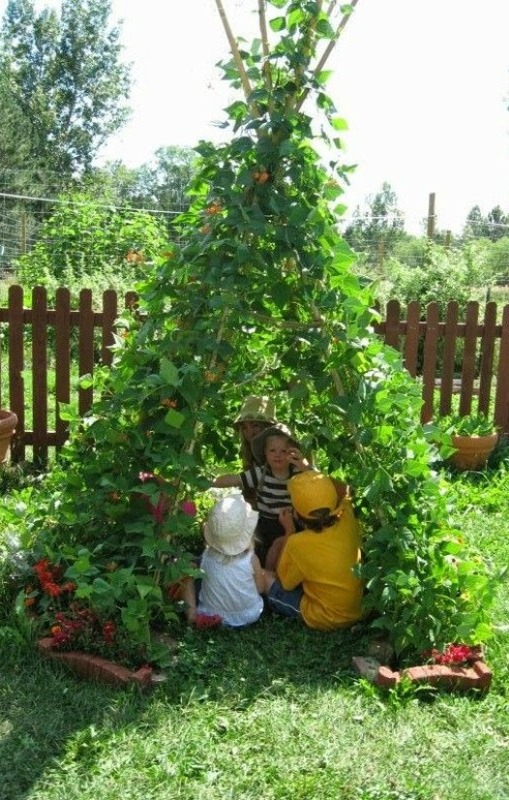 Create a fun hideout for the kids while also exploring how things grow with this DIY bean teepee. Use recycled cans to make a tin can herb garden. Use ice cream cones as planters. My kids found this hilarious for some reason. 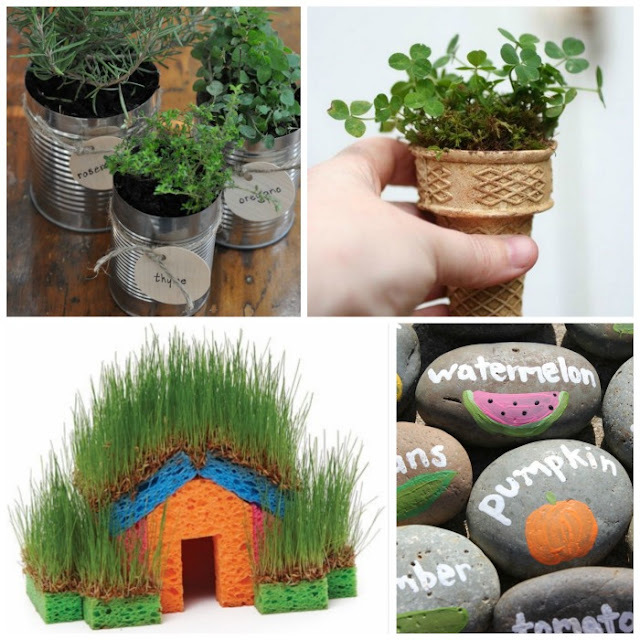 Grow a grass house with the kids. Get out the paint, & make garden markers using rocks. 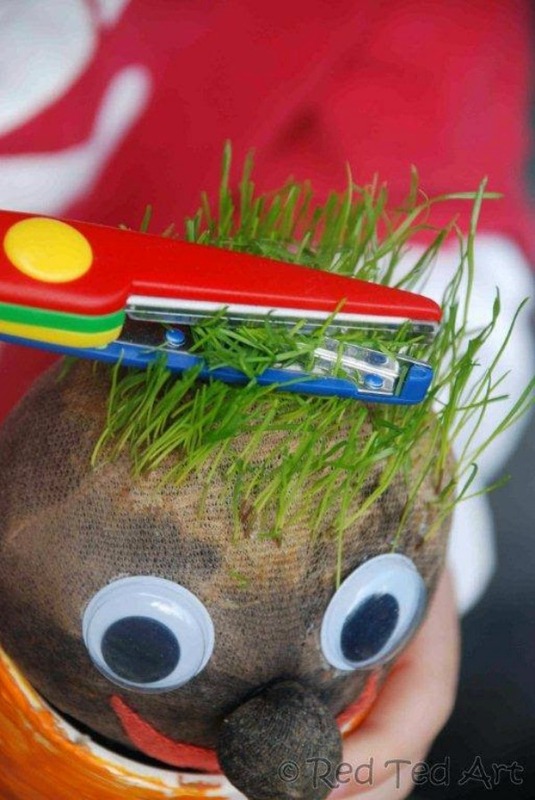 Grow an adorable grass head friend. 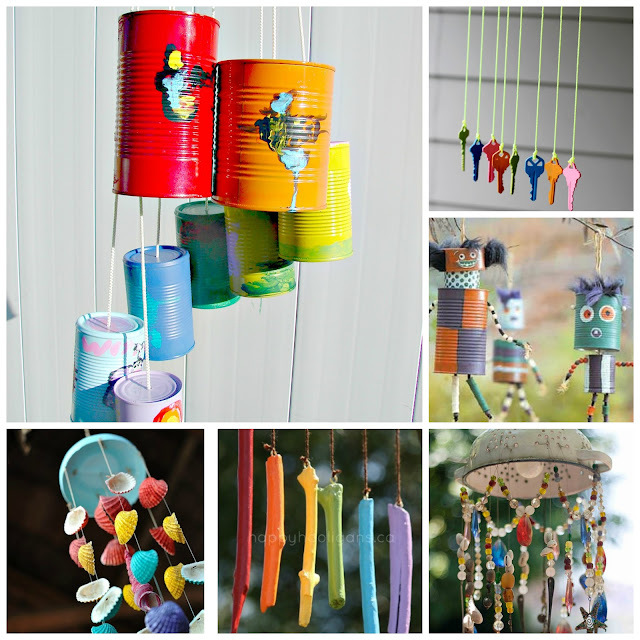 Grow a colorful tin can garden. 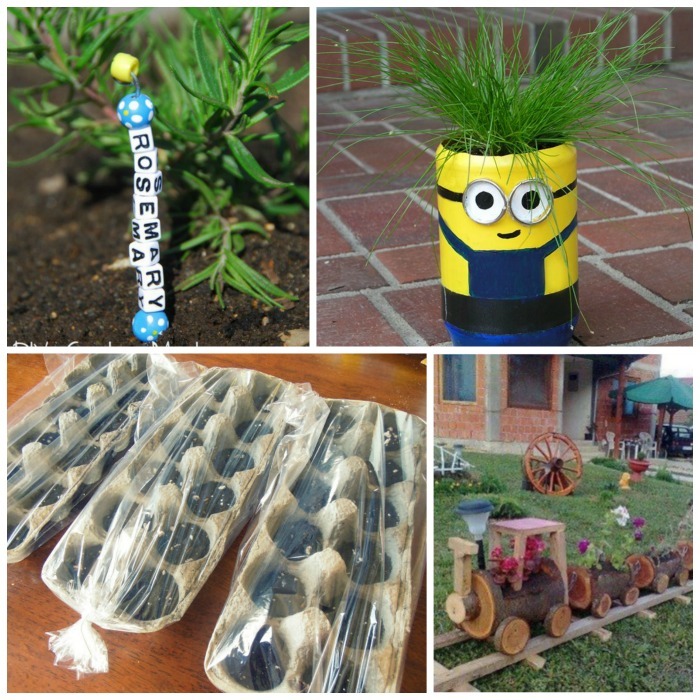 Make & plant seed bombs with the kids. 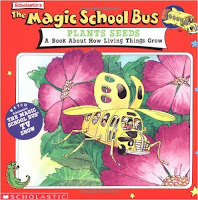 Make a butterfly garden together. 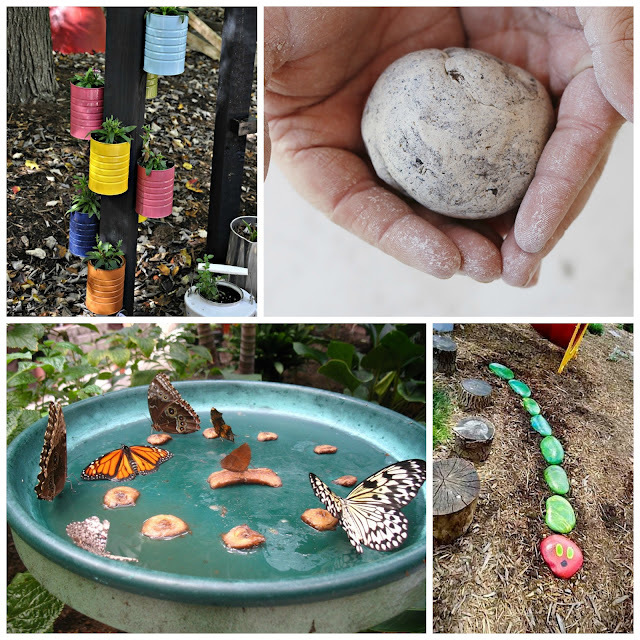 Add a bit of cuteness to your garden & make a hungry caterpillar from rocks. 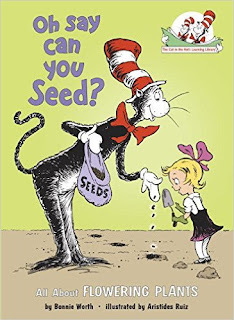 Grow a train garden together. Make an egg carton greenhouse. 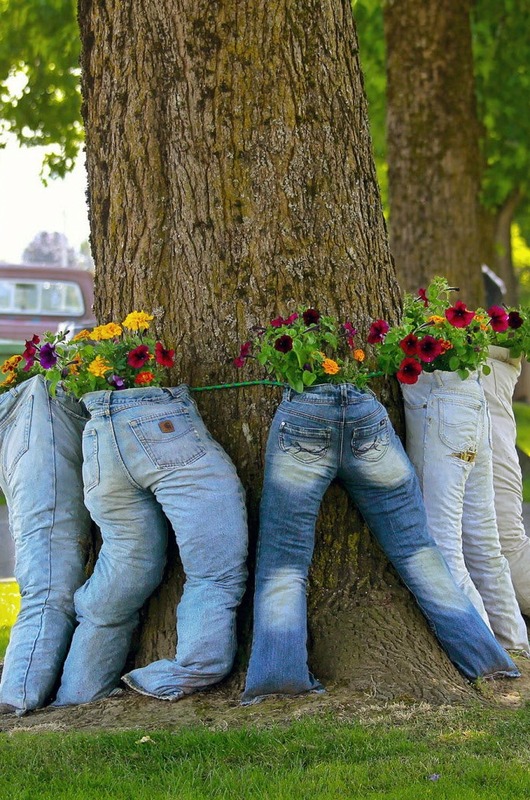 Turn old jeans into adorable planters. Turn two-liter bottles into self watering planters. 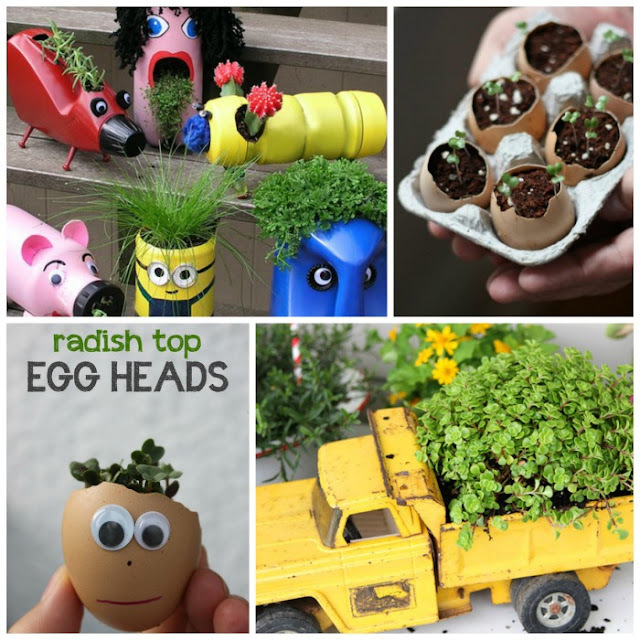 Up-cycle favorite toys into planters, & then watch them grow! 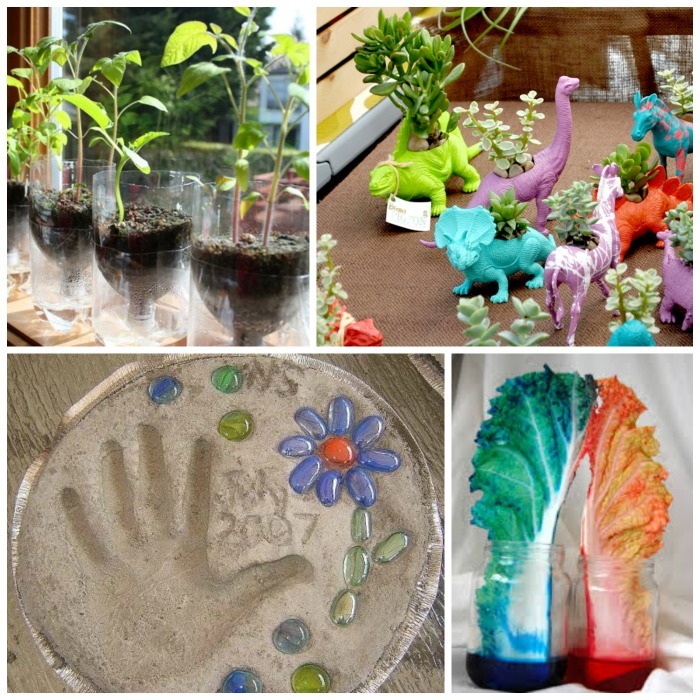 Make hand print garden stones. Learn about how plants thrive with this water movement experiment. 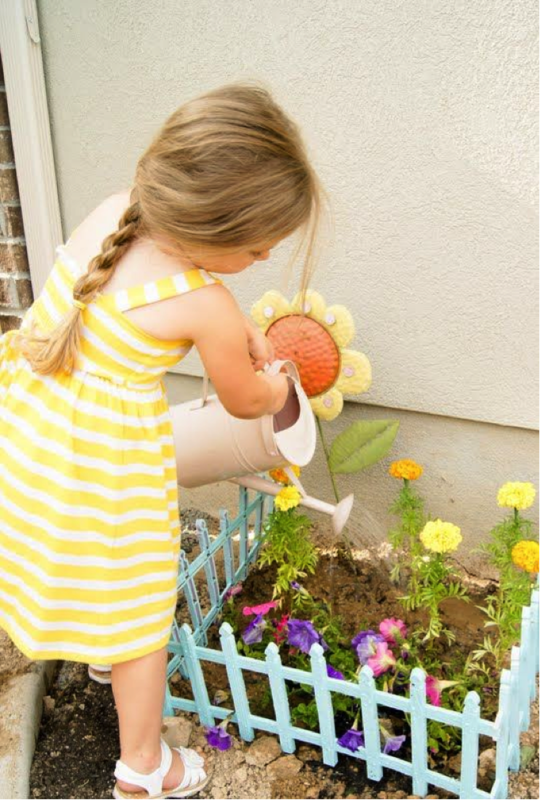 Give your little one a place of their own with this adorable kids garden space. 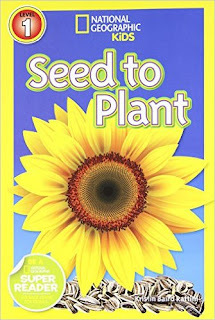 Explore the science of seeds with this seed sprouting activity. 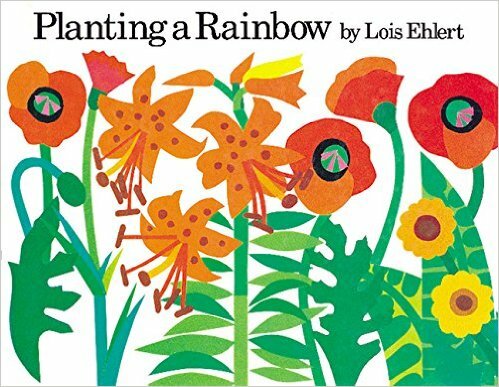 Explore plants while creating beautiful art and make a 3-D nature sun catcher. 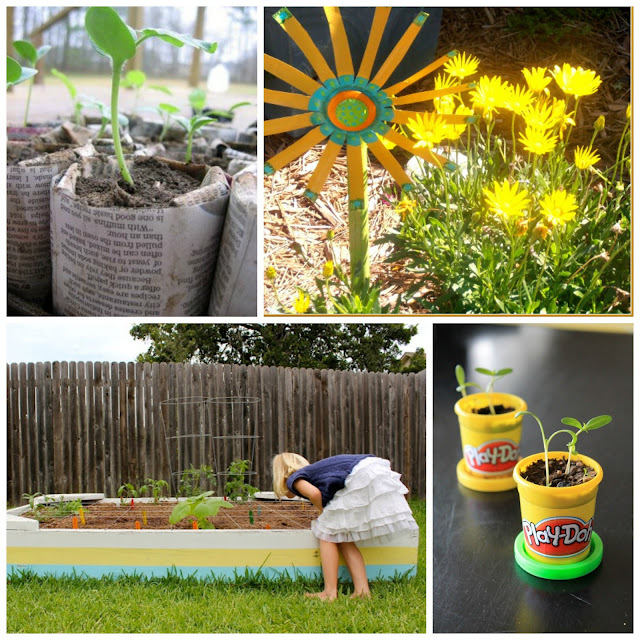 Label your garden with these colorful kid made garden markers. 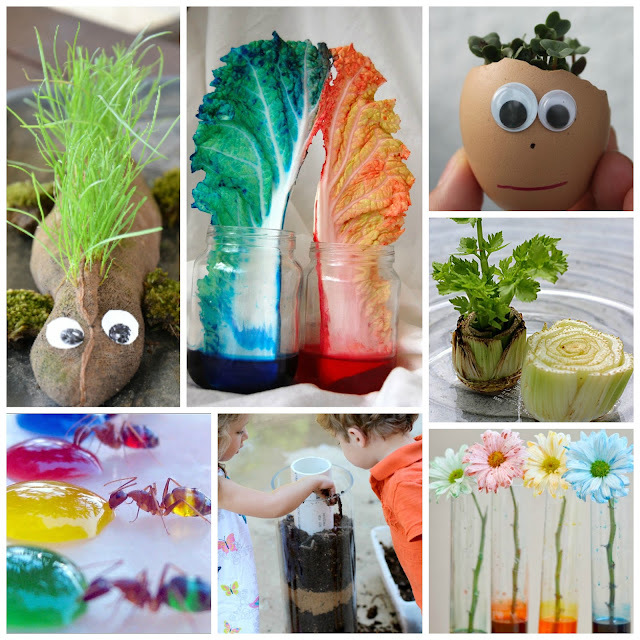 Make a grass growing pet. 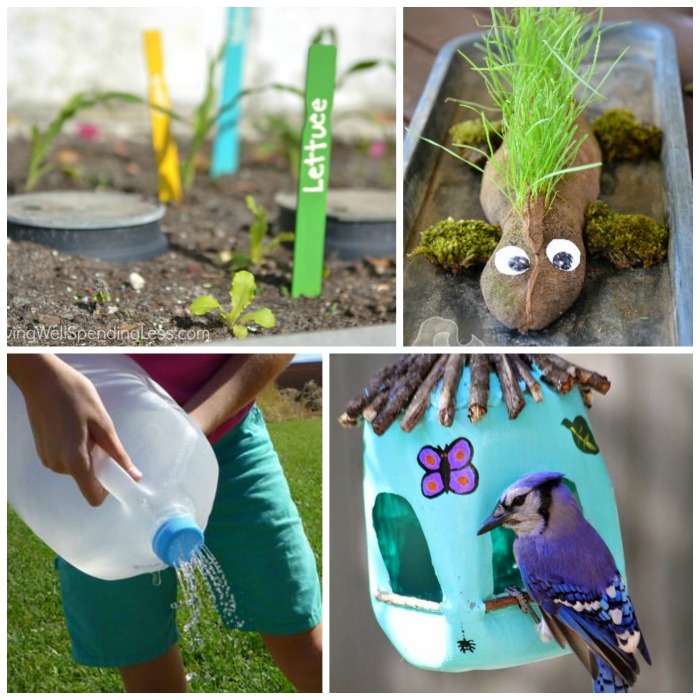 Let kids make their own watering can from a milk jug; have them paint it for more fun. Make bird feeders with the kids, and then hang them in your garden. 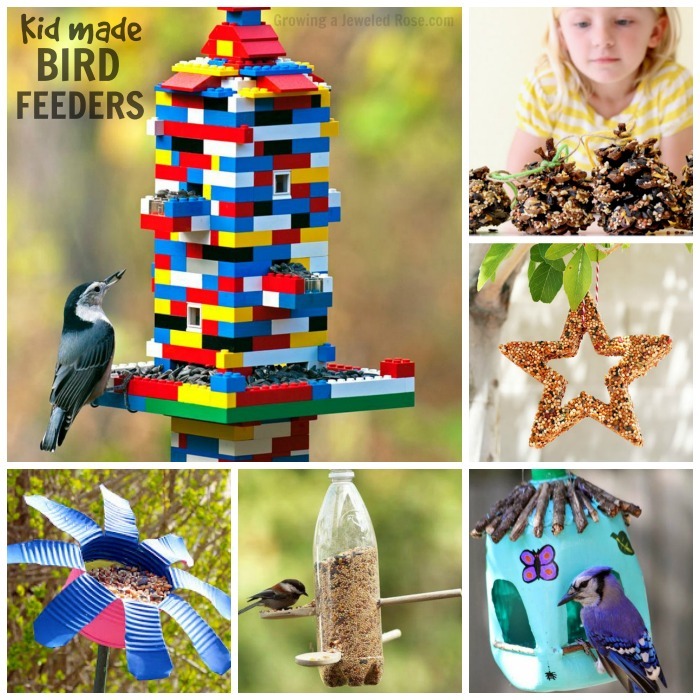 You can find over 20 kid-made bird feeder ideas here. 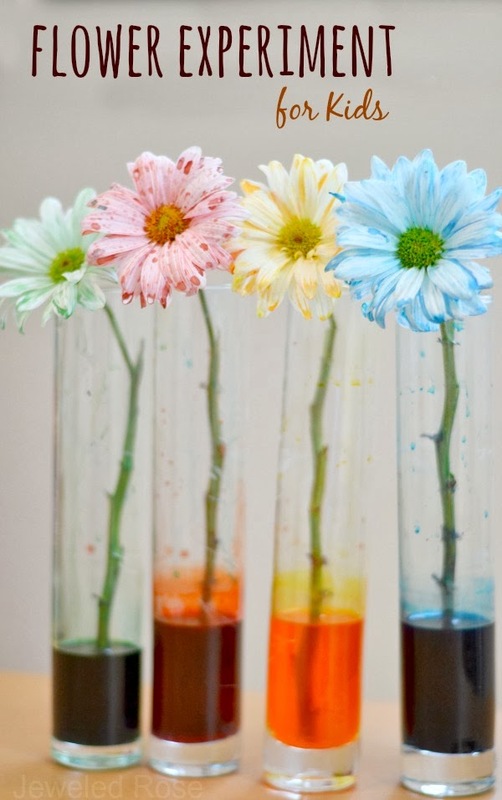 Learn about plants & how they thrive with this fun flower experiment for kids. 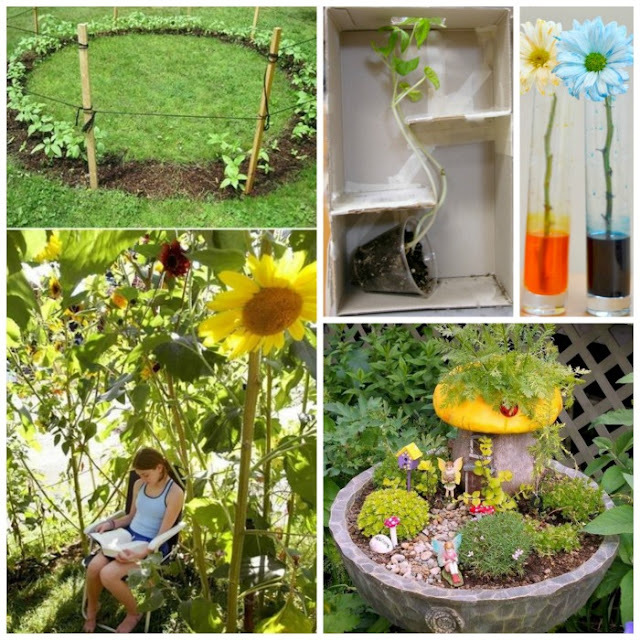 Win coolest parent award & grow a sunflower fort. 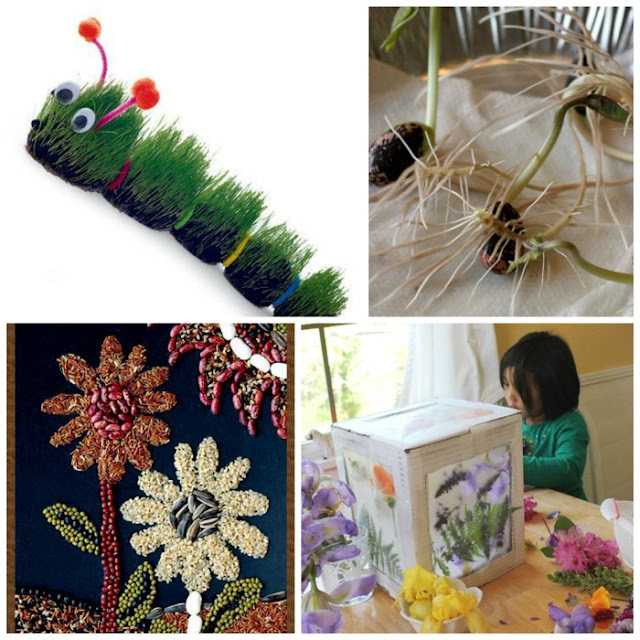 Try growing a plant in a box. Make a magical fairy garden.